As Americans and Europeans prepare for their holidays, tens of millions of Africans prepare for elections this month while hundreds of millions more watch closely. Without prejudging the outcomes, democrats and civil rights activists are coming under heavier fire. The Senegalese voted in parliamentary elections on 30 July, in polls that were distinguished by a leading opposition figure, the Mayor of Dakar, Khalifa Sall, running his party's campaign from his gaol cell. Sall has been held without charge for six months. Senegal's stellar record for political pluralism, akin to Ghana's, is now in the balance. Next up on 4 August is Rwanda's presidential election where Paul Kagame is assured of victory after another eerily quiet campaign. After last year's constitutional referendum, Kagame could stay in power, punctuated by sporadic elections, until 2034. Angola's elections on 23 August, also fall into the category of a victory foretold: this time for the MPLA's presidential candidate João Lourenço, the armed service chiefs, and the family of outgoing President José Eduardo dos Santos, who will retain a grip over some most lucrative commercial operations in the land. 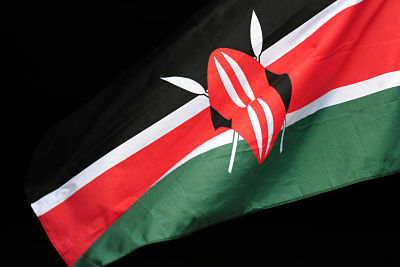 But for most political observers, Kenya's elections on 8 August are the most portentous. A clear margin of victory for either party in a contest generally judged free and fair would give progressive forces a huge boost. But as our reports suggest, that is increasingly unlikely.